Add-on program for the MedInformatix EMR. It takes advantage of collected patient data and physician practice patterns to increase the quality and efficiency of care. Provides fully automatic bi-directional electronic data exchange between medical practices and laboratories with requisition form generation. Integrated Business Intelligence Solutions (IBIS) was founded to provide software helping in every aspect of practicing medicine – from clinical to business management operations. The software is based on the latest computer technology as well as on our over thirty years of experience in the medical industry. Practicing medicine is business and art at the same time and it requires following the rules and regulations as well as it is based on experience and individual style of each of the medical providers. Our software is capable to do both – follow the rules and adapt to individual preferences. 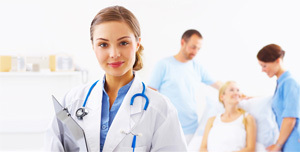 It is created to help and increase efficiency of medical practice operations. Therefore, we meticulously design every algorithm minimizing clicks and typing and providing quick and easy access to the specific information needed at each moment of work. Our success is measured by success of our customers.